Diski Skills: A new Augmented Reality Card Game celebrating South African street football, developed as a collaboration between augmented reality specialist Something Else Design Agency and the Goethe-Institut. The Goethe-Institut Johannesburg, in cooperation with augmented reality specialists Something Else Design Agency, has created a brand new card game which not only celebrates South African freestyle football culture, but also brings it alive through the latest Augmented Reality technology. "Diski Skills" is an exciting, quick card game, set in a South African street football scenario showing popular tricks such as the Shibobo, Tsamaya or Scara Turn to only name a few. Each trick is rated in categories of Attack, Defense and Swag - you win the game by challenging your opponent strategically with the trick at hand. Through Augmented Reality technology, the cards come alive: Move your cellphone over a card and watch as the trick magically appears on your screen in a slow motion video. Therefore, an educational value is added as players can study the tricks and learn more about the idea behind it. The game will be launched in a fun filled event on 27 October 2018 (starting 1pm) at the Goethe-Institut, with opportunities to play the game and a freestyle competition in an aim to find new talent. The competition will be judged by a jury consisting of professional freestylers and PSL players, with amazing prizes to be won. Participants can enter by uploading a short video of their skills on social media, tagging the Goethe-Institut and using the hashtag #DiskiSkills. Got Diski Skills? Take part in our #DiskiSkills freestyle competition and win amazing prizes! 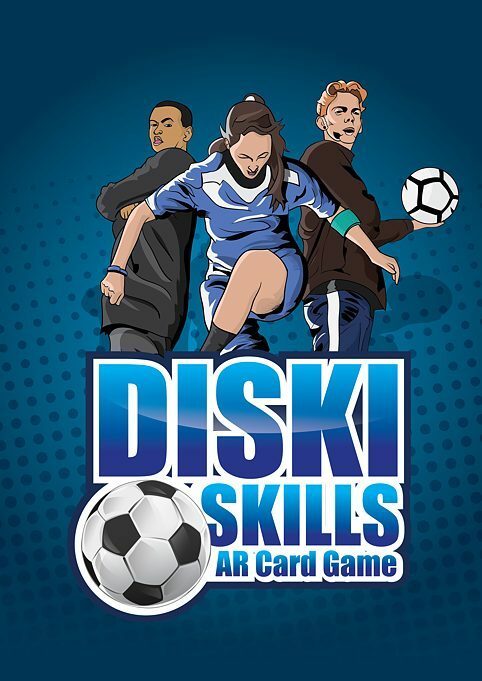 The Diski Skills AR Card Game aims to promote South African street and freestyle football. In line with this, the freestyle competition hopes to unearthen new freestyling talents from Gauteng and increase the visibility of freestyle football in South Africa. 1st prize: the opportunity to showcase your tricks to an even bigger crowd! The winner of the competition will be doing a halftime show at a Bidvest Wits game together with our Freestylers Ozzie, Keagan & Angie. Additionally, the winner will get an original Adidas Champions League match ball. Upload a video showcasing your skills on either Facebook, Instagram or Twitter using the hashtag #DiskiSkills and tag the Goethe-Institut @GoetheJoburg until 19 October 2019. The Diski Skills team will then select the ten best freestylers to be invited to the launch event and perform their tricks in front of the jury.